Here’s how to solve the Trials of Gnomus lever puzzle. 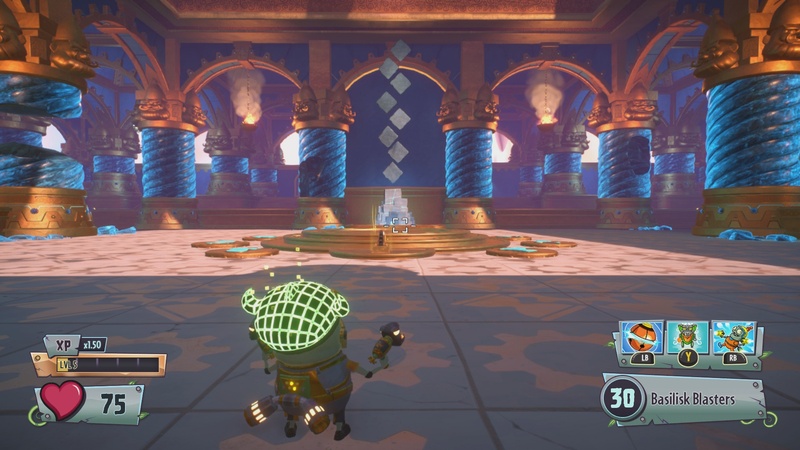 King Gnomus has been cooking up some peculiar trials to challenge players in the new Trials of Gnomus DLC for Plants vs Zombies: Garden Warfare 2. It comes as no surprise that the gnomes have constructed yet another lever puzzle for players to figure out, deep within the Gnomiverse. For this guide, we’ll show you how to use and solve this lever puzzle so you can unlock new legendary item rewards. The new lever puzzle is located within the Gnomiverse, a new area that can be reached via portal in the underground sewers. First, you must unlock the padlocked door in the sewers across from the gold gnome chamber by getting the key from the seagull inside the Town Hall. Enter the Town Hall in the backyard and turn right. The key is on a crate to the right of the seagull, but you’ll need to offer the seagull 25 gold stars in order to take it. Once you pay the seagull its precious stars, pick up the key and head to the sewers underground. Go through the passage across from the Crazy Targets range, and continue down the path until you reach the locked door. Approach the door to unlock the padlock, then enter the newly revealed portal. The portal takes you to the Gnomiverse, which is where the new Trials of Gnomus timed trials take place. In the center is a large portal on the ground, across from the gazebo with King Gnomus’ statue. Drop down this portal to discover the room that contains the new lever puzzle. Before we talk about puzzle solutions, it’s important to note that unlike the previous lever puzzle, this one does not have a universal solution that is the same for everyone. The puzzle has multiple solutions which come from completing the timed trials in the locked doors within the upper Gnomiverse area. These solutions are player specific, meaning two players who complete the same trial will receive separate solution codes for their puzzle. 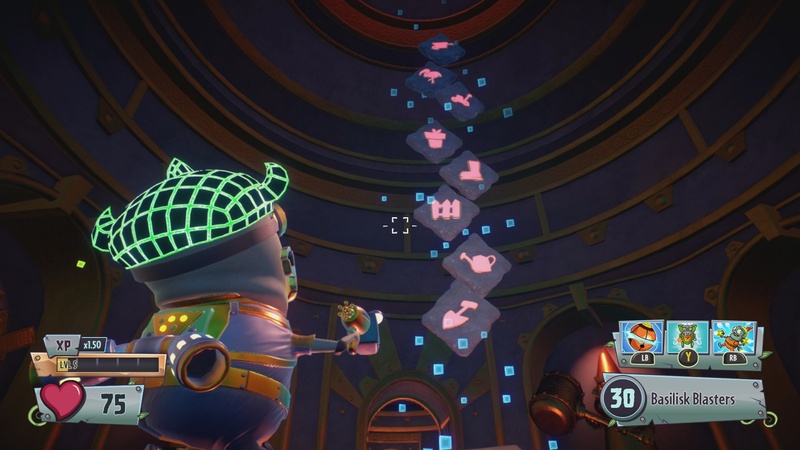 You receive a unique code pattern at the end of each Trials of Gnomus timed trial you complete. There are four timed trials total, and they are found behind each of the locked colored doors in the Gnomiverse. Trial Keys for each door can only be obtained from unlocking the Red Chest within the Town Hall. Players have a 75% chance of earning a Trial Key from the Red Chest, so they are not guaranteed. The Town Hall chests can only be unlocked once per event cycle, so if no key drops, you must wait to try again during the next Mystery Portal event. Regardless, you will still earn some sort of rare or legendary item for each unlocked chest, even if a key doesn’t drop. A certain number of Rainbow Stars are required to unlock each chest in the Town Hall. 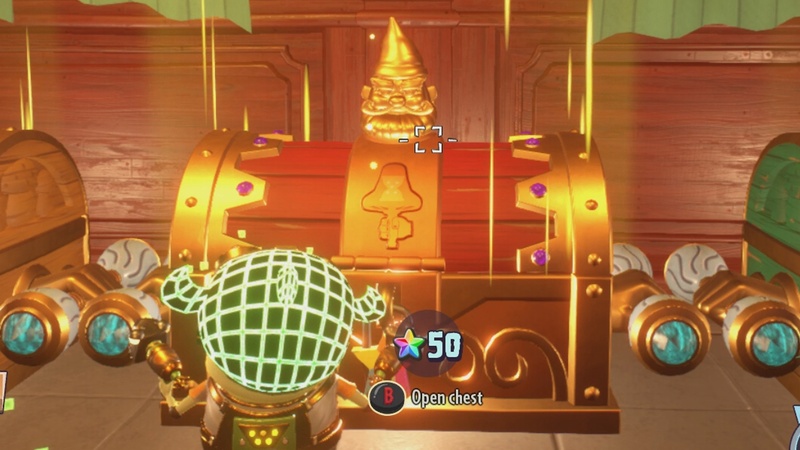 The Red Chest in particular requires 50 Rainbow Stars. Rainbow Stars are mainly earned by completing Mystery Portal matches. Five stars are rewarded for a win, and three stars are awarded upon a loss. Players can also convert gold stars into Rainbow Stars by trading with the Town Hall seagull, at a rate of one Rainbow Star for every seven gold stars traded. Once you unlock the Red Chest, you’ll receive a coin reward along with either a key or item. To see if you got a key, head over to the Sticker Shop after unlocking the Red Chest, and check your Last Pack Opened. 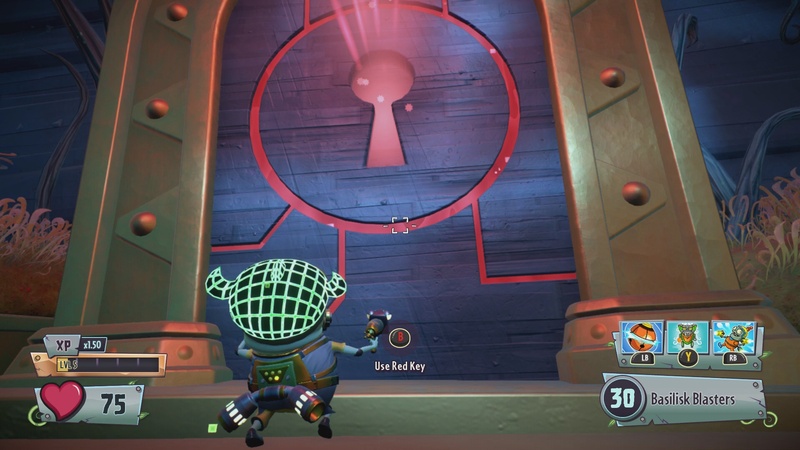 If you have a trial key, the appropriate colored door in the Gnomiverse area will be lit up and you should be able to walk up to it and unlock it. Upon completing each trial, a series of stone symbols will appear at the end of the path. This is your unique code that you must enter into the lever puzzle. Write down or take a screenshot of the code for future reference, then head down the portal to the lever puzzle room. Enter your code sequence by stepping on the pressure plates surrounding the circle to input each symbol from top to bottom. When the code solution is completely filled in on the vertical stones, pull the lever to activate the puzzle sequence. If you input your code correctly, a new portal will open in the center circle, and a mini boss event will begin. Defeat the incoming gnomes and gnome boss to complete the challenge. Afterward, you will receive a monetary reward, and a new portal will appear near the King Gnomus statue on the main level. Enter the newly created portal gate, and open the chest at the end to claim your legendary item reward! Something special is supposed to happen once all four trials have been completed, but this special event has not been discovered yet. We will update this article with any details regarding new Trials of Gnomus DLC features, so be sure to check back here in the future for more information.